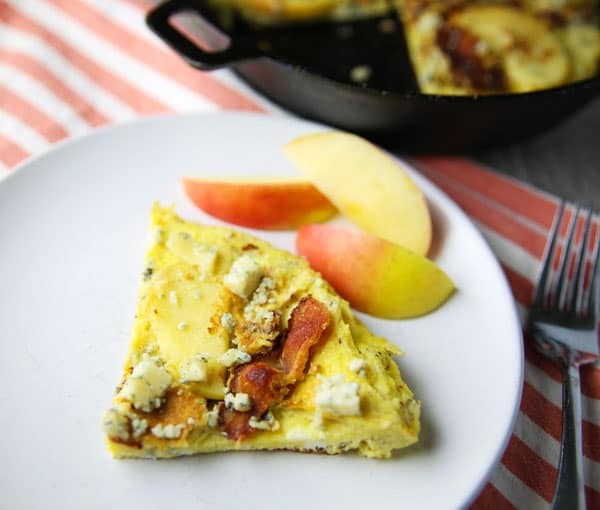 Let’s hear it for the brunch lovers! I look forward to brunch every single weekend. During the week I’m usually super busy and only have time to make smoothies for breakfast. 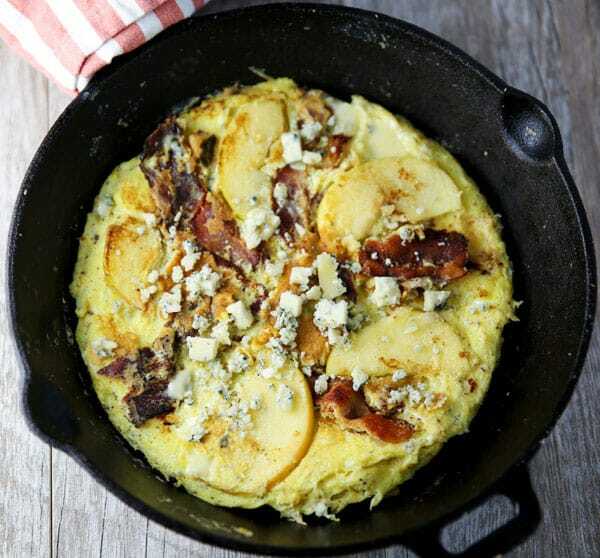 So when the weekend rolls around, I look forward to slowing things down just a bit and cooking a nice hearty meal for brunch. 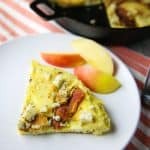 I recommend using a cast iron skillet for this frittata. That way you don’t have to worry about it sticking to the bottom and it cooks nice and evenly. 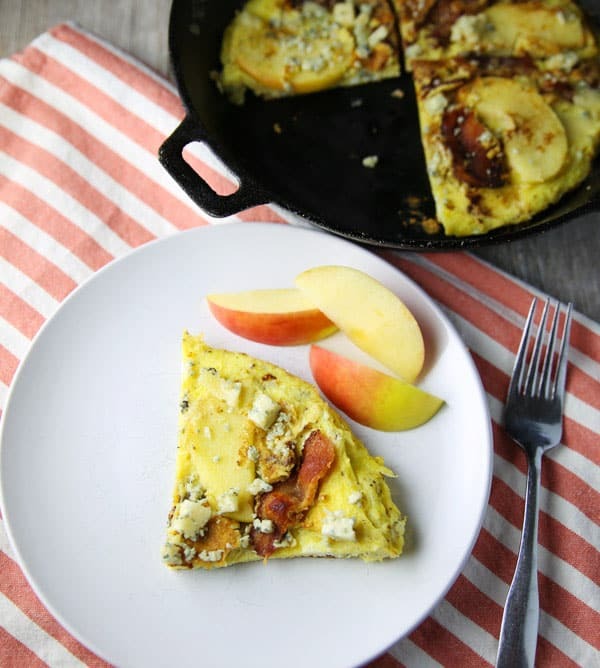 The best thing about this Bacon Apple and Gorgonzola Frittata is that it’s great served warm or cold. In fact I had this the next day as well and ate it cold… I actually thought that was better!